The island-studded Paradise of the Caribbean has fueled the imagination and dreams of people for generations. A certain magic has always surrounded this area, which makes most of us long for white beaches, swaying palm trees, and the intoxicating sounds of a steel band. If you have already been here you will know that the photos don’t lie, and if you haven’t, don’t deprive yourself any longer! 99% of the visitors to the islands arrive by cruise ship or plane and stay in hotels, but why don’t you make your hard earned vacation into a real adventure and go sailing? 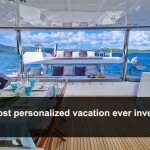 Bareboating and crewed charter yachts offer spectacular sailing and cultural experiences in St. Vincent & the Grenadines and several other amazing Caribbean charter destinations. If you charter a crewed yacht you can start anywhere and have your captain guide you to the best places, and if you are a sailor you can rent “bareboats” in most places mentioned below. St. Vincent and the Grenadines crewed yacht charters will take you to some amazing places! The 32 islands lie in the south east Caribbean, and are still fairly untouched by modern life, remaining relaxed and charming. Each island has its own unique charm and character and spectacular vistas. Here are a few of the highlights. The beautiful island of Mystique was bought by a private investor in 1958 and has since counted celebrities like Princess Margaret, Mick Jagger and David Bowie amongst its home owners, and lately Prince William and Kate Middleton have also enjoyed its charms. 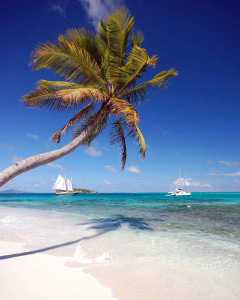 However, I’m sure that everybody that has ever been here would agree that the Tobago Cays are in a class of their own. It is a group of 5 tiny islands with swaying palm trees and blindingly white beaches surrounded by stunning coral reefs and shades of blue you have never seen before. It must have been somebody visiting this place who coined the phrase “breathtakingly beautiful”. 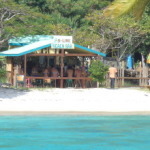 The snorkeling is spectacular and you will be greeted by turtles and big schools of fish. You can anchor safely behind the shallow reef with no land in front of you and listen to the waves all night.If you want some local color, friendly Rastafarians will prepare barbequed lobster on the beach for you and your friends. The grill might well be the evaporator from an old fridge…but hey, it works, doesn’t it? The British Virgin Islands (BVI) is the best known amongst Caribbean charter destinations with well protected waters and more than 100 calm anchorages. It has the biggest fleet of crewed yachts and bareboats in the Caribbean, and is the ideal place for your first sailing adventure. The islands are considered “the Sailing Capital of the Caribbean” and with very good reason! 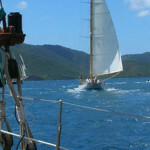 You can find much more information about the BVI on our website. St. Maarten, Anguilla & St. Barts has been a top vacation spot for years. 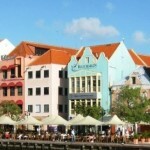 Like most other east Caribbean islands St. Maarten has changed hands several times, but in 1648 It was finally divided between Holland and France. Even though it only covers 22 square miles and has no visible borders, the 2 parts are quite different, with a very distinct French atmosphere in the north and a more international feel to the southern Dutch part. There are hotels and casinos everywhere, and with so many cars the traffic will make you long for New York at rush hour. However, there are some wonderful bays and great restaurants, and it is the ideal “jump off” point for those who want to hob-nob with the jet-set on the island of St. Barts or bask in the tranquility of Anguilla. As mentioned above, each island is different and has its own charms, so it really depends on which kind of experience you are looking for. We have been to all of them so, please CONTACT US for more information. We know all the secret spots! Why Is a Yacht Called a “She”?